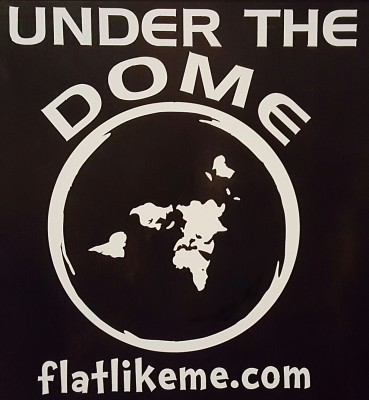 Putting it all under one roof, ...or dome, since Feb 2 2016. "He has fixed the earth firm, immovable ..."
The heavens declare the glory of God; And the firmament shows His handiwork. 2 Day unto day utters speech, And night unto night reveals knowledge. 3 There is no speech nor language Where their voice is not heard. 4 Their line[a] has gone out through all the earth, And their words to the end of the world. In them He has set a tabernacle for the sun, 5 Which is like a bridegroom coming out of his chamber, And rejoices like a strong man to run its race. 6 Its rising is from one end of heaven, And its circuit to the other end; And there is nothing hidden from its heat. Links taken from Dean Odle's comments under the video above. Several were not working and have been removed from this list. 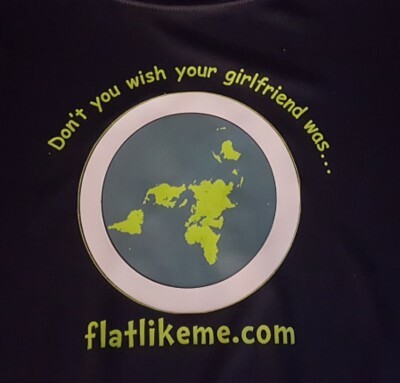 Globe or Flat Earth? At this point I am questioning EVERYTHING! Joshua Nowicki shoots Chicago skyline and NASA is full of CRAP! 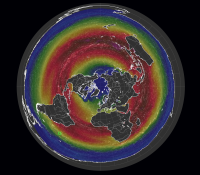 How the moon could be self lighting? It's a small ball after all? Or is it just an optical illusion? 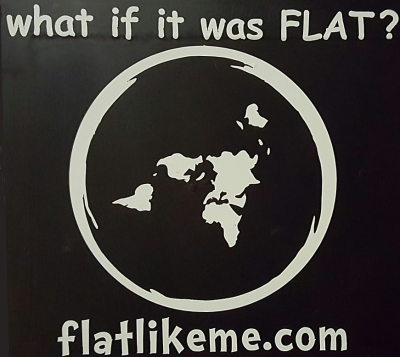 All window decals measure approximatly 7" x 8"
​ The topic of Flat Earth has long been ridiculed. No matter your walk of life, to believe in a flat earth is synonymous with being an idiot. After all, “those things were proved hundreds of years ago!” ...but were they? What the men and women involved in this conversation have come to realize is that those things most certainly not been settled. 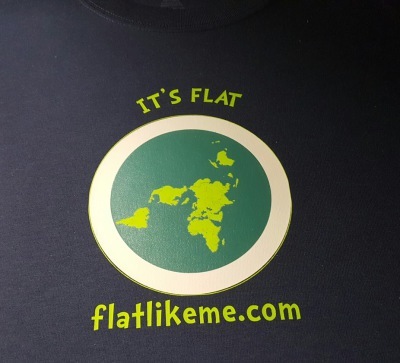 The battle of flat v. spherical was raging even in the last two hundred years. To put it simple, the “evidence” is severely lacking. All of those pictures from NASA? They're not really pictures at all, but “compositions of data.” All of the “ships disappearing over the horizon bottom first” arguments? Easily disproved by common technology. 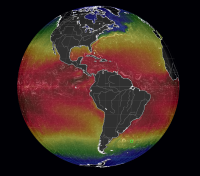 All of the rhetoric from mainstream scientists? Untrustworthy to say the least. After all, fool me once shame on you; fool me twice, shame on me. Truth has a knack for being found; at least by those who are searching for it. Some say this information has been “released” while some say it has been forced into the light of day. 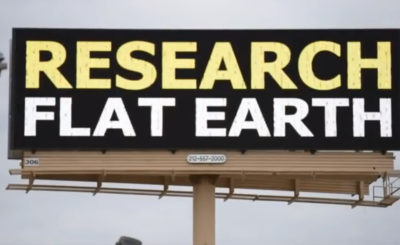 I don't claim to know which is true, but I know it is tedious to search for the newest content on YouTube concerning Flat Earth. They all needed to be under one roof. That's why I am doing this. I intend to monetize this site in the near future to pay for my time and domain. I say that now in order to have it out there from the beginning. I realize that I have no opposing points of view on here ...yet. 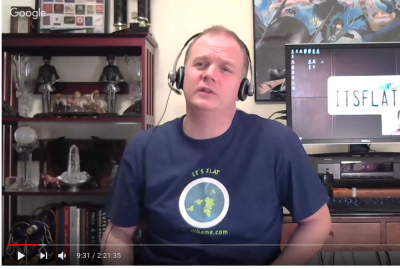 I intend to present the most recent exchanges in the media, along with links to each of the listed channel owners' newest Flat Earth material as time allows.